At the beginning of the 1930s, Arden Quin studied law and painting at Sant’ Ana do Livramento (Brazil), returning to Uruguay in 1935. After attending a conference organized by Joaquín Torres-García, he began to dabble in abstraction. In 1937, he settled in Buenos Aires, where he studied philosophy and literature and established a connection with artists of the avant-garde movement. 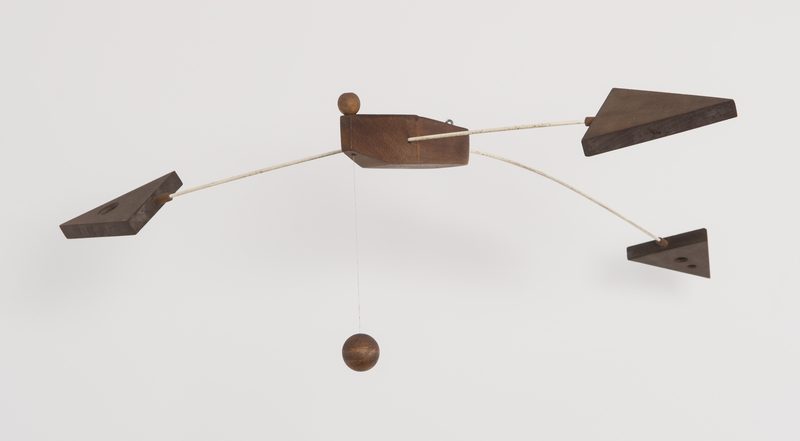 In a second encounter with Torres-García (1939), he became acquainted with the articulated toys made by Torres-García and these became the source of the transformable sculptures that Arden Quin developed years later. In 1944, Arden Quin joined the group that published Arturo, a magazine focusing on abstract art. The members of the group included Edgar Bailey, Gyula Kosice, Tomas Maldonado, Rhod Rothfuss and Lidy Prati. Violently combative in its eagerness to break away from the different tones of figurative art and be in tune with the times and the international vanguard, Arturo became the focus of abstract-geometric and constructivist art in the region. Like many of the artists grouped around the magazine, Arden Quin questioned the use of the traditional frame of conventional painting and started using irregular frames. Internal differences between the founders of Arturo eventually caused the dissolution of the group. Arden Quin participated then in the exhibitions organized by the Asociación Arte Concreto -Invención (1945), and shortly thereafter he founded the Madí movement (1946) together with Gyula Kosice, Rhod Rothfuss and Martin Blaszko. The members of the Madí movement intended to overcome the lack of universality of concrete art, in particular, what had prevented its triumph as opposed to the success of movements called intuitionist, among them surrealism. The Madí artists intended to do this by inventing and creating eternal objects with absolute value. Following these prescriptions, Arden Quin, in 1945, created his Estructuras Extensas, whose movable parts allowed variability in their compositional balance, and Relieves articulados, concave-convex paintings with irregular frames. After the publication of a manifesto and the organization of several exhibitions in 1947, the Madí movement was dissolved due to a dispute between Quin and Kosice. After this rupture, Arden Quin moved to Paris (1948) and participated in a series of exhibitions focusing on the production of abstract art on both sides of the Rio de La Plata, including Arte Nuevo (Salón Kraf, Buenos Aires, 1947) and Salón de Nuevas Realidades (Galería Van Riel, Buenos Aires, 1948 and 1949). 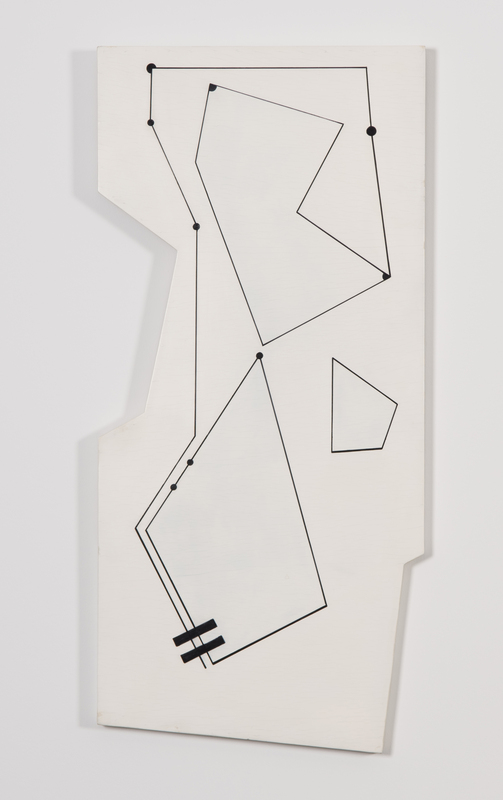 He continued, however, to specifically promote Madí art through the production of new works with polygonal or irregular frames with wooden moving forms. He organized the Primera exposición madista internacional (Ateneo de Montevideo, 1947), the creation of the Madí Center in Paris (1950), and the preparation of the collective exhibition Espace-Lumière (Galerie Suzanne Michel, Paris, 1951). He also participated in the Primera muestra de arte abstracto (Galería Cuatro Muros, Caracas, 1952), and, during a brief return to Buenos Aires, he founded, in 1954, the Asociación Arte Nuevo with the critic Aldo Pellegrini. Back in Paris, Arden Quin worked almost exclusively with collage and découpage until 1971, when he returned to painting with the series Form galbées, in which a waved support replaced the traditional flat background. In 1983, he was honored with an exhibition at the Espace Latino-American (Paris). In 1986, he received the first prize at the II Bienal de La Habana and in 1998, he presented the retrospective Pinturas y objetos 1945-1995 at the Galería Ruth Benzacar in Buenos Aires. De Maistre, Agnès. Carmelo Arden Quin. Niza: Demaistre, 1996. Goodman, Shelley. Carmelo Arden Quin. When Art Jumped Out of its Cage. Dallas: Madí Museum and Gallery, 2004.